Vancouver is one of the best places to visit in Canada. Its mild climate and proximity to both the ocean and the mountains makes it an exciting city to visit, full of activities, events, and attractions to enjoy. There are few places in the world where you can go boating in the winter time, then head over to the North Shore to go skiing. 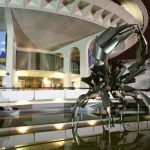 Here’s five of the best attractions to see in Vancouver, and best of all, most of them can be fit into a three-day trip. VanDusen Gardens and Bloedel Conservatory. 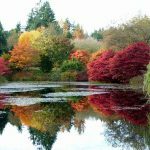 Vancouver’s rain forest climate is perfect for growing a variety of flowers, plants, and trees, and at the VanDusen Gardens, you’ll find botanicals from all regions of the world. Highlights from the gardens include the Korean Pavilion, and the Stone Garden. The Conservatory is an enclosed greenhouse, set up as a real rain forest. You also won’t want to miss having a chance to find your way through the Maze. Vandusen Botanical Gardens in Vancouver during autumn. 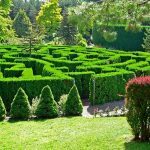 Maze at Vandusen Botanical Gardens in Vancouver. 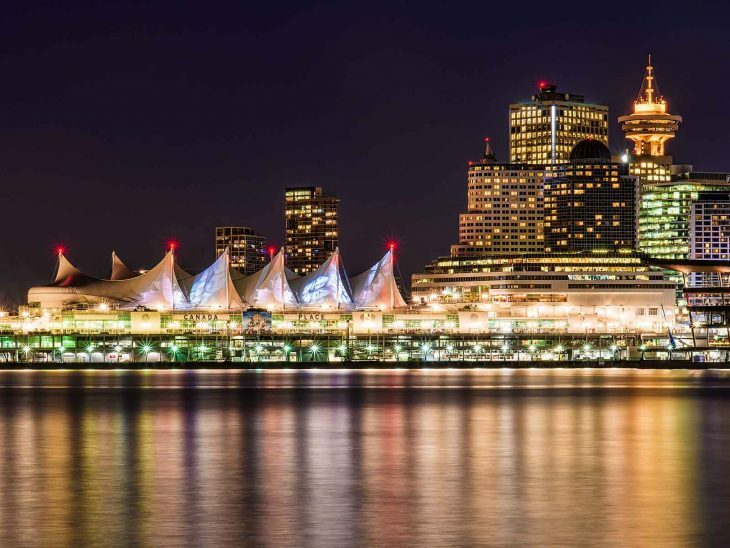 One great place that tourists like to hang out is at Canada Place. You can walk around for free, and take plenty of photographs of Burrard Inlet, and the North Shore Mountains. There’s also the fun Fly Over Canada ride, and plenty of restaurants to have a great meal. This is the spot where you can also watch the big cruise ships come in. Canada Place in Vancouver during daytime. Canada Place in Vancouver at night. 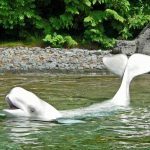 The Vancouver Aquarium in Stanley Park. There are plenty of parks in Vancouver, and Stanley Park is a popular one, where you can meander over trails that wind around the sea. It’s also the location of the Vancouver Aquarium, where you can see fish and small animals in their natural habitats. The penguin and dolphin exhibits are popular stops. 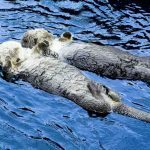 Sea otters “holding hands” at Vancouver Aquarium. The dolphin “Beluga” at Vancouver Aquarium. Strange name for a dolphin btw! H. R. Macmillan Space Centre and Museum of Vancouver. You can spend an entire day at the Space Centre. There is plenty to see and do. There are space exhibits, and the large planetarium, where you can watch shows on a globe screen. The Museum of Vancouver is also housed in the same building, and has world-class exhibits. Their permanent gallery gives a glimpse of life in the 1950s, while their Neon Vancouver exhibit has neon lights from Vancouver’s past, some which still work. Exterior of Macmillan Space Centre in Vancouver. Interior of Macmillan Space Centre in Vancouver. There are many attractions in Hastings Park, including the park itself, and a racetrack. The Pacific Coliseum has some world class concerts and shows, and used to be home to the Vancouver Canucks. During the summer time you can visit the PNE – Pacific National Exhibition, where you can visit a petting zoo, see concerts, see TV show exhibits, cat and dog shows, and more. Playland gives the whole family a chance to ride the vintage roller coaster, carousel, try some of the extreme rides, and play fun games along the midway. 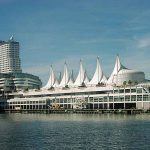 There’s also plenty to see if you don’t mind leaving Vancouver City and checking out some of the neighbouring cities, such as North or West Vancouver, Burnaby, and New Westminster. No matter what you choose, the entire family is sure to have a great time in Vancouver, BC. 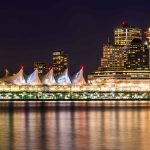 If you enjoyed this article, you might want to check out Vancouver by film location or snack at Viking Pancakes Food Truck. 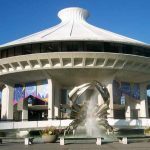 Have tips, comments or questions about your Top 5 attractions in Vancouver? Please do via email, in the comments below, on Twitter, Facebook or Google+. Conscious Traveler? – Think Before You Book Your Flight!